Music lovers, sports enthusiasts, supporters of the performing arts, foodies and shopaholics unite! No longer Oklahoma’s “best kept secret,” Tulsa has more than something for everyone. It has it all. Everyone likes having choices–especially when choosing furniture. Our furniture rental collections are designed to give you the options you want and need to best fit your style and budget. 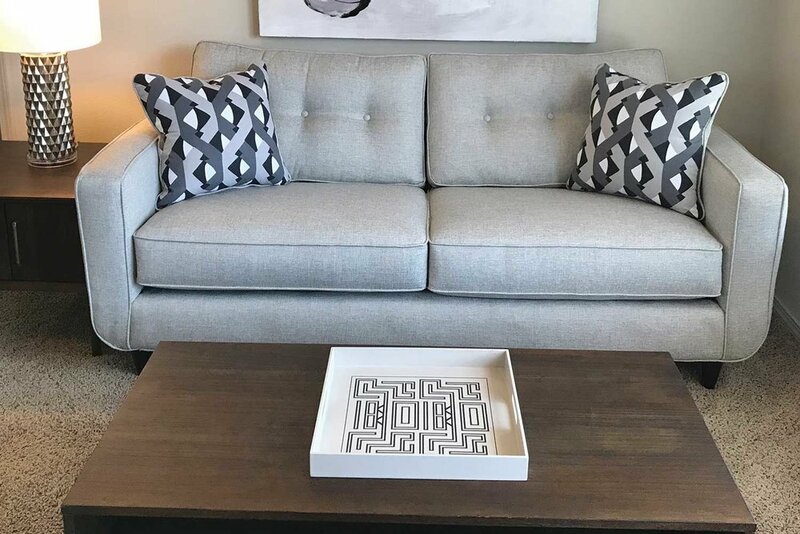 Whether you need short-term* or long-term** furniture rental, we offer a wide variety of options to provide you with the basic comforts of home or a more personalized signature style. With one easy ordering process, we’ll supply you with everything you need to make your house or apartment feel like home: living, dining and bedroom sets, washer and dryer, TV, coffeepot and all the housewares. We provide everything but the kitchen sink; however, we have great resources to help you in that area, too! Furniture styles shown and price vary depending on the collection. Click on the link above to download complete Furniture, Housewares & Electronic rental options. Prices for other cities may vary. Additional fees such as a damage waiver may apply. *Minimum 2-month rental required; Short-term leases (less than 2 months) are available at the 2-month minimum rental fee. Please fill out the form below to start your order. Once you submit the form our customer care representative will contact you to complete your order. Please let us know how long you'll need the furniture. Prices are based on a 2-month minimum. If you are a Corporate Intern, please tell us where you are interning. Thanks for choosing Furniture Options! Once you submit this form you will be re-directed to our Secure Online Credit Application and we will contact you shortly to finalize your order.